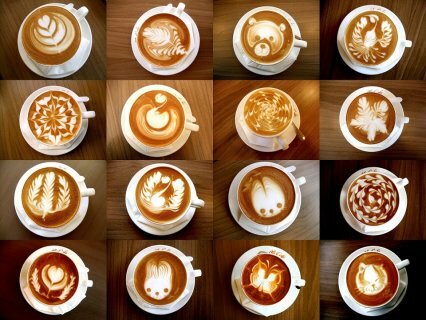 Pilot Baristas have spent countless hours refining their shots and perfecting their pours. In our two levels of Barista Training, our espresso experts will convey their knowledge and share their experience to help you become a rock star barista. What: A course that begins with the important foundation of proper milk texturing, and moves into the technique of pouring different designs. We'll take you through the different levels of hearts, rosettas, tulips, and maybe even some swans, and have you creating masterpieces of your own through lots of hands-on practice and guidance. Who: You've taken the Level 1 Espresso Lab and are ready for the next challenge, or you're a barista looking to polish your designs, become more consistent, or move beyond the classic latte art shapes.